Should the Redskins consider drafting WR Julio Jones? 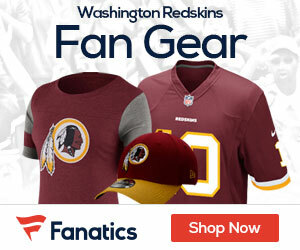 If you were assembling a shopping list of positions that are of immediate need for the Redskins, as of this very moment, your list would look something like the following (in no particular order): Quarterback (assuming McNabb is gone next season), Wide Receiver (Santana Moss is a free agent), Offensive Guard (maybe two of these), Right Tackle (Jammal Brown is a free agent), Nose Tackle, Inside Linebacker, and Cornerback. So when you have a team that has major holes at over one third of its starting positions (and you could easily say there are two or three positions which need a personnel upgrade as well), and you have a top ten selection in the upcoming draft, you better find a guy that’s going to be able to be an impact player the day he arrives in camps, and hopefully help cover up some of the other areas where there is a severe lack of talent. And that’s exactly why the Redskins should seriously consider the idea of drafting Alabama wide receiver Julio Jones. As of right now, there’s absolutely no guarantee that Moss will be back with the Redskins in 2011. The new regime seems perfectly fine with releasing holdover veterans when their price tag gets too high, and patching things together with younger, cheaper alternatives. But if Moss does end up leaving Washington, you could make an argument that the Redskins would have the worst/least threatening receiving corps in the entire NFL. Think of it this way: if the most productive receiver left on your roster is a guy that was playing semi-pro football in something called the “Intense Football League” just two seasons ago, you’re in pretty awful shape. And the best part is, that guy is surrounded by a guy who has played in a grand total of 15 games in his entire career – including none in 2010 – (Malcolm Kelly), a guy who is 5’7 and was an undrafted free agent in 2010 (Brandon Banks), a 7th round pick that’s better suited as a rick returner (Terrance Austin), and has-beens or never-will-be’s that are inexplicably still on the roster (Joey Galloway & Roydell Williams), there’s not exactly a whole lot to scare opposing defenses. This team hasn’t had a gameplan-altering wide receiver since perhaps the days of “The Posse.” Guys like Henry Ellard and Michael Westbrook and Santana Moss have had seasons where they put up very respectable if not Pro Bowl-caliber numbers, but when was the last time the Redskins had anyone that kept defensive coordinators awake at night? Jones absolutely has the potential to be that guy. In fact, the more I think about it, the more Jones reminds me (physically) of Terrell Owens in his prime. He’s tall (6’3), incredibly fast for his size (40 yard dash in 4.39 seconds? incredible), struggles a bit with dropping passes, but nearly unstoppable in 1-on-1 coverage. He’s got the strength and the frame to abuse DB’s who try to press him at the line, and he’s one of the best blocking receivers to come out of the draft in quite some time. He was productive from the get-go during his days in Alabama, putting up very good statistics on a run-first team. In this upcoming draft, there’s really only has six “super blue chip” guys: Da’Quan Bowers, Nick Fairley, Marcell Dareus, Patrick Patterson, AJ Green, and Von Miller. All six are going to be gone within the first six picks, in some order. After that, you have another 15 to 20 guys that are graded so close to each other that you’re essentially splitting hairs. Even if the Redskins decide that they want to consider drafting one of the top quarterbacks available, there’s still two two teams with big questions at the quaterback position – San Francisco and Tennessee – picking ahead of Washington, so it’s very concievable that both Blaine Gabbert and Cam Newton are off the board (and even if Newton is still available, the Redskins should stay the hell away from him). That’s why, to me, Jones has to be considered an option. A friend made a great point to me earlier: passing on Jones, assuming he’s still available at #10, could be like when the Redskins passed on drafting Adrian Peterson in 2007. LaRon Landry is a really good strong safety, but you honestly can’t tell me that you’d rather have him than one of the most consistently dominant running backs over the past four seasons. Again, this team has a ton of holes and not nearly enough fingers to plug them with. But the teams with the most success have proven that the most successful strategy is to get the very best player you can find, and go from there. Julio Jones could very well be that player. I doubt all top six players and top two quaterbacks will be gone before we pick.